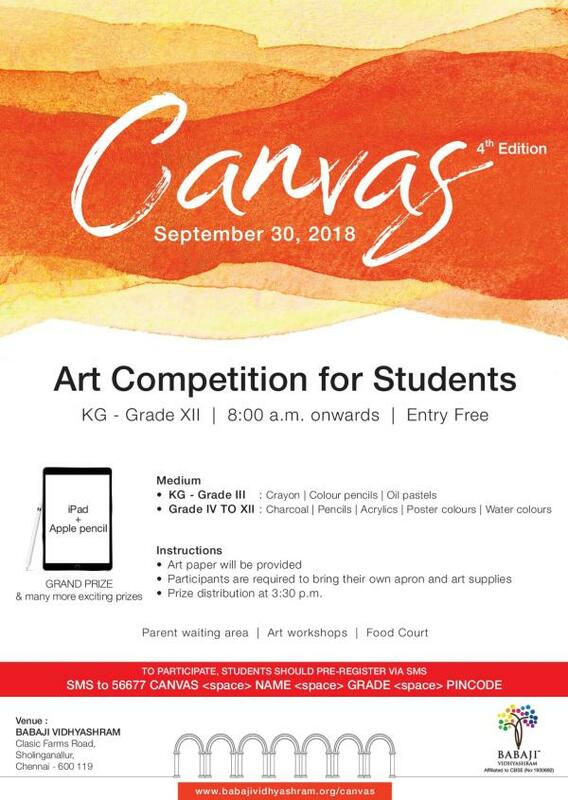 Registrations are open for “CANVAS – 2018”- Painting Competition for students between KG – Grade. XII to be held on 30th September 2018, Sunday – 8:30 AM onwards. The venue for the competition is Babaji Vidhyashram, Clasic Farms Road, Sholinganallur, Chennai – 600119. Ph: 044 – 4210 5757. 5. Grade I, II & III : (1:00 PM – 2:00 PM) – Pre- printed colouring sheets – Crayons | Colour Pencils | Oil Pastel Crayons. 6. 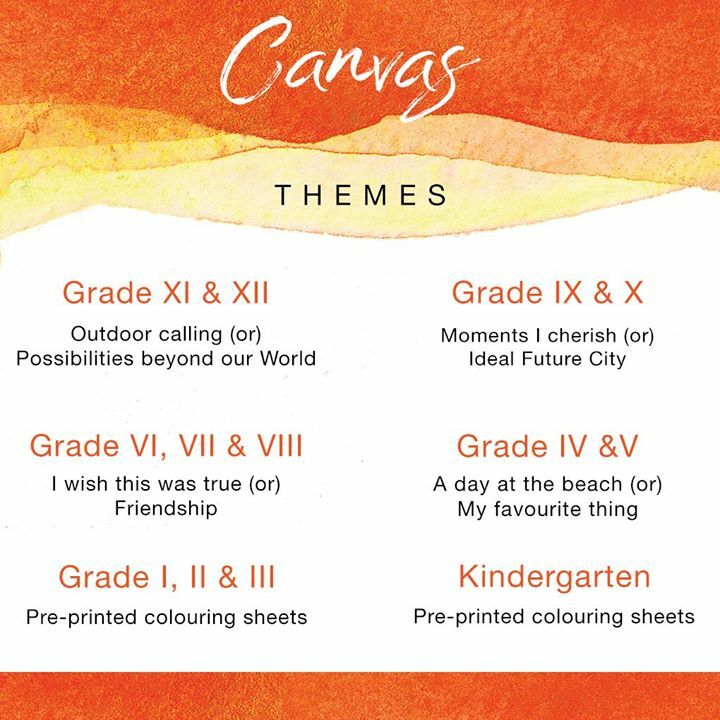 Kindergarten : (2:15 PM – 3:15 PM) – Pre- printed colouring sheets – Crayons | Colour Pencils | Oil Pastel Crayons. · Prize Distribution : 3:30 PM Onwards. · Participants have to report at the venue 30 mins before their time slots. Send SMS in this format : CANVAS ‘space’ NAME ‘space’ AGE ‘space’ PINCODE to the Number 56677. Do not put any extra spaces. Sent SMS, but yet to receive acknowledgement?